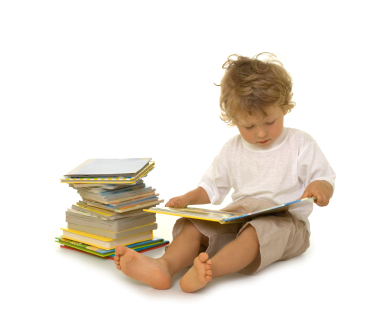 Do you want to start teaching your child to read and want to know what words he needs to learn? If you do, then read on for suitable words and teaching tips. If you are going to teach your four year old to read, then you might want to know about Dolch sight words. These are a good place to start. Two hundred twenty words have been identified as high frequency words and the list is spread out over the years from preschool to third grade. Of course, these are not the only words he would need to learn, but the Dolch words show up in between 50 and 75 percent of all the words in books, newspapers, and magazines. Next you would start teaching the sounds that are associated with each letter. You could use blocks with the letters on them and put them together to make words. You could also use cards with letters on them, like flash cards. Work on what sound comes at the start, middle, and end of a word. Practice with consonant-vowel-consonant word flashcards. Letters can be made lots of ways. Play Do or clay can be rolled into a worm and the letters can be shaped. You can take a roll of cookie dough and either make some letters with it or use cookie cutters. Licorice is another good food to make letters with. You could also buy cheap cereal and glue the pieces on paper where you have written a letter. Start looking around and you will find lots of ways to form letters and make learning them fun. "Three Letter Words for 4 Year Olds." YourDictionary, n.d. Web. 24 April 2019. <https://education.yourdictionary.com/for-teachers/three-letter-words-for-4-year-olds.html>.